Is there anything better than having ice cream in the summer? How about having ice cream while you cruise the Ohio River on BB Riverboats! On Sundays this season, each passenger will enjoy scooped ice cream and their choice of assorted toppings on this 1 1/2 hour afternoon sightseeing cruise. 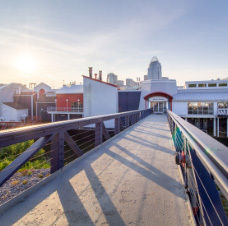 The Captain will guide your afternoon with interesting commentary about Cincinnati and the surrounding area. The best part is that all of this is included in your cruise! It is the perfect way to spend an afternoon with the family! Cash bar and snacks will be available for purchase.